While the Service Readiness Profile does not come with an Interview Guide, Schneider Sales Management can assist clients by providing a list of behavioral interview questions appropriate for entry level positions. 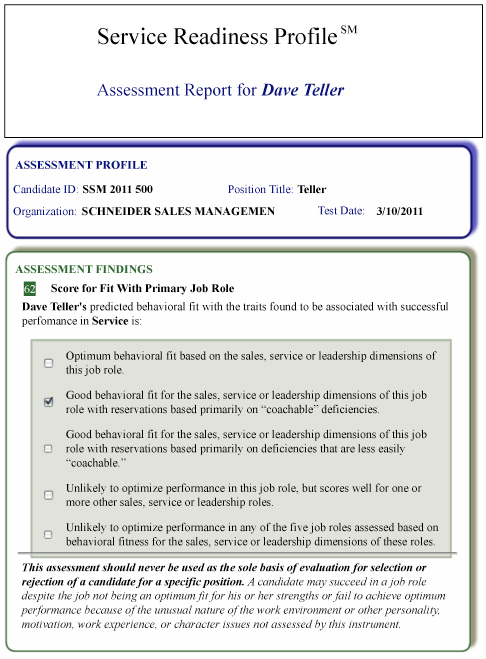 The numerical score in the upper left hand corner of this section and the overall assessment checked in the section below represents the candidate’s predicted fit with the behavior required for the primary job role. 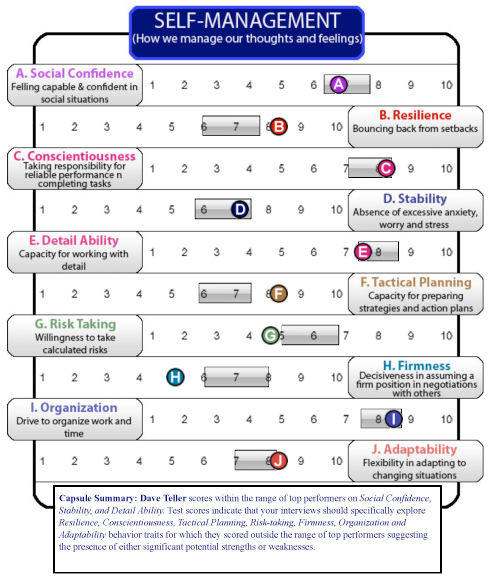 The assessment report also provides details on learning and coaching needs, the candidate’s dominant behavior style and their score in each of the 34 behavioral competencies assessed.